Venice & Santa Monica culture is deeply tied in with surfing and skating. 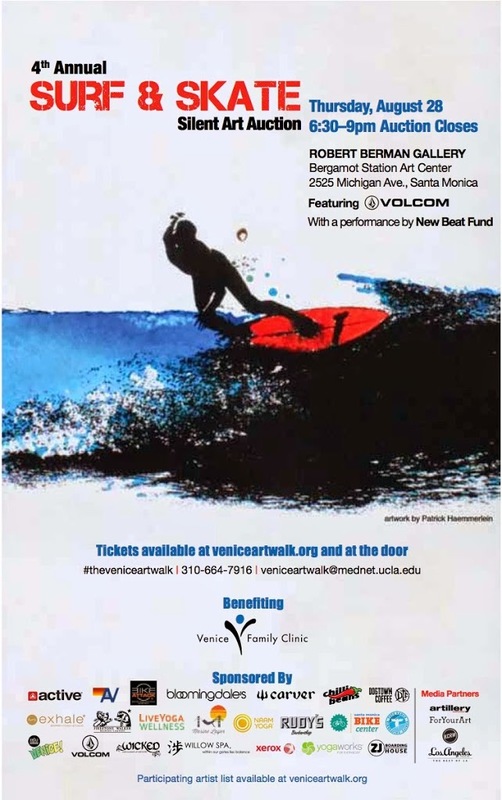 Now is your chance to meet some of the greats and buy their art, alonmg with other local artists that will benefit the Venice Family Clinic, on Thursday, August 28, 2014, 6:30 – 9pm. The 4th Annual event takes place at Bergamot Station in Santa Monica at the Robert Berman Gallery from 6:30-9pm. Tickets are $15 cash at door or purchase advance tickets online. Still not exercising? You can start now! It’s Endless Summer with this Sparkling Pool & Indoor/Outdoor Living Space!